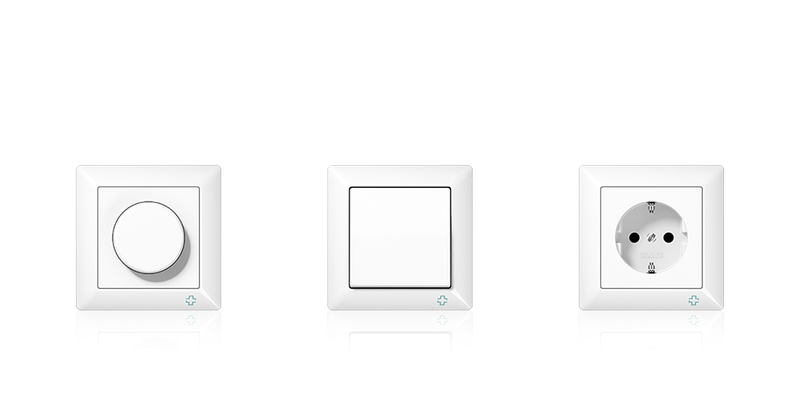 A special range for hospitals and nursing homes and the like: Often all that is required to spread an infection through bacteria is to use a light switch. For these can be breeding grounds for bacteria, viruses and germs. 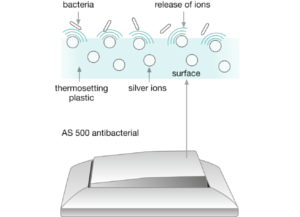 The AS 500 antibacterial range offers an effective barrier here against the transmission of dangerous microorganisms. The special material technology removes the nutrients for the germs and thus effectively impedes the multiplication of bacteria and fungi. This is done by adding silver ions to the thermosetting plastic during the production process. The reproduction and mutation of germ cells is prevented by the anti-microbacterial characteristics. The AS 500 antibacterial is identical in design to the standard AS 500 range. The visual match makes it possible to subsequently change from the standard model to the antibacterial version.